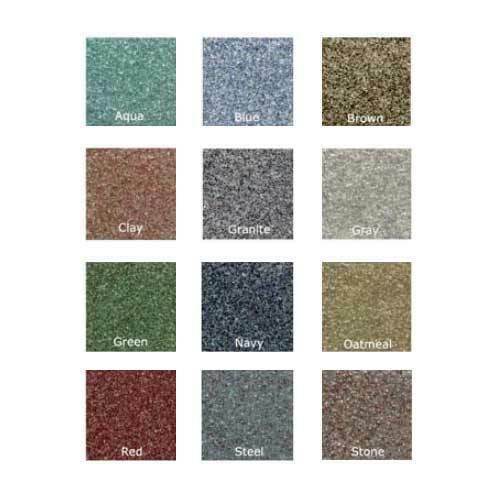 Neostone carpet is tough, resilient multi-colored Quartz aggregate fused with clear 100% solids epoxy provide a decorative & durable floor system with outstanding resistance to impact & abrasion. The texture of this floor can range from nearly smooth to aggressively slip resistant for wet areas. This system combines the low maintenance, high performance qualities of high strength resins with classic looks. Established in 2006, Neocrete Technologies Pvt. Ltd. has been at the forefront of technological innovation in the field of in-situ floorings. Their technical prowess along with a single minded determination to satisfy customer requirements has served them well in the industry. Neocrete has built up an impressive customer portfolio including MNCs such as Coca Cola, Nestle and Wockhardt and other reputed Indian companies such as Shapoorji Pallanji, Madras Pharma, Sterigene Life Sciences etc. With their near obsessive emphasis on quality as opposed to quantity, their accent on continuous product and process improvement, unflinching passion and pride in their product and services Neocrete has earned the trust and respect of a multitude of industrial clients and consultants. Products for both commercial & industrial applications. Unit 817, Hubtown Viva, Off W. E. H.